This Thursday, December 21st, we in the Northern Hemisphere will once again experience the Winter Solstice, an event celebrated by pagans for thousands of years. After the solstice, the days will grow longer and the nights shorter, in the never ending cycle of seasons, nature, and the rebirth and awakening of the Spring after the Winter. And for another take on the Winter Solstice, the following article was printed in The New York Times, yesterday, Sunday December 17th. It was written by Mark Vanhoenacker, a fellow pilot. For the roughly 90 percent of us who live in the Northern Hemisphere, the winter solstice of 2017 is coming soon (at 11:28 a.m. E.S.T. on Thursday, to be precise). And if it wasn’t so dark out, you’d see how happy I am that the year’s longest night is sweeping down over the northern half of our planet, as naturally as the lid of a closing eye. Full disclosure: I’ve always loved the dark. My mother often recalled that as a small child I would sometimes grumble, “I don’t want the sun to shine, I want the moon to shine.” I decided to become an airline pilot in part because I believed that aviators might enjoy a particularly pure experience of night. The glow of the Christmas rituals I still love best — lights, candles, hearths — would mean little to me without the shadows that embower them. To this dark but cozy and star-spangled corner of the calendar, I welcome like-minded pilots and air travelers; astronomers, of course; and any fans of “The Simpsons” who secretly cheered when Mr. Burns (“I call this enemy … the sun!”) tried to block out the light from everyone’s favorite ball of plasma. But whatever your feelings about the longest night, the winter solstice — transcendent, yet precise; celestial, but very local — is worth pausing to savor. Indeed, while I hope to spend every Christmas at home by the fire, this is also my favorite time of year to fly. Night flights are often smoother, and they are almost always more sublime. Raise your window blind and you may be the only person to ever see how the moonlight falls on an ephemeral, rolling Narnia of cloud, while on a clear evening a city far below you may look exactly as we might most beautifully imagine it — as a shorthand for civilization, written in light on the pages of a darkened Earth. When you look up, familiar, crystalline winter ornaments like Orion and the Pleiades appear, while auroras may offer the sensation, sometimes for several hours, of sailing across a phosphorescent sea. To reclaim a phrase from “Game of Thrones” — a show, ahem, that hasn’t exactly burnished winter’s reputation — the night is long and full of wonders. In contrast, pilots may greet the sunrise in the cockpit with a matching glare, and an inevitable “Star Trek” joke — “shields up!” — as we reach for our Ray-Bans and a phalanx of swiveling sun visors. 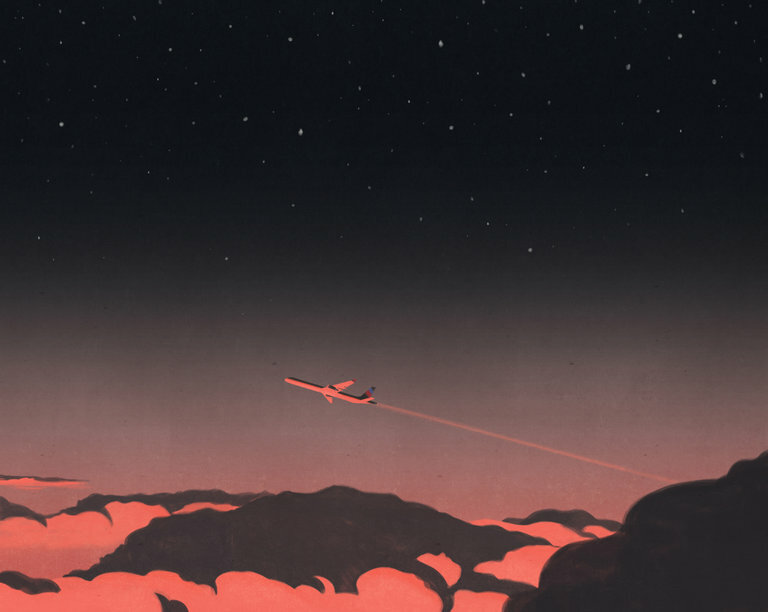 Pilots have more reason than most to follow the annual comings and goings of darkness. But Earth’s annual light cycle can profoundly affect all our lives, even in cultures remade by electric lights. A solstice is an opportunity to remember that this cycle is caused by the tilt of Earth’s axis, a reason-for-the-seasons angle so important that desktop globes (you still have one, right?) are built to lean at it. The December solstice, inaugurating winter in the Northern Hemisphere and summer in the Southern, occurs at the moment the North Pole is most tilted away from the sun. Nearing this solstice, the northern world’s days grow shorter, and sunlight lands at shallower angles — heating the hemisphere less, and casting December’s familiar long shadows across the snow. When this cycle was first explained to me as a child, my teacher advised me to imagine the “leaning” Earth as it arcs through its annual orbit around the sun. (Even as an adult, I like to close my eyes and relish the wondrous fact that you and I are sitting on a tilted blue-and-white planet that’s sailing around a star.) But such illustrations, however useful, make it easy to overlook the loveliest aspect of this Thursday: that a solstice is in fact a moment of rest. What stops at the December solstice is the sun’s apparent southward and night-lengthening (or night-shortening, in the Southern Hemisphere) march across the sky. The true meaning of “solstice” — indeed, the word’s Latin roots refer to the stilling of the sun — was made clear to me by George Greenstein, emeritus professor of astronomy at Amherst. From his home in Pelham, Mass., Professor Greenstein has a good view of the western horizon. He asked me to imagine a continuous movie composed of photographs that capture the position of the setting sun (the rising sun would work equally well) throughout the year. In this movie — with a soundtrack by Max Richter or Ludovico Einaudi, I’m thinking — the setting sun would migrate back and forth between its southernmost and northernmost positions on the horizon. The sun would accelerate toward the middle of its journey (around spring and autumn, when the lengths of the day and the night change most quickly) and slow down toward the extremes. Once the sun reached an endpoint, it would at last come to rest — as it will on Thursday — before its motion reversed. Earth orbits the sun continuously, of course. But the sun’s apparent annual motion is more like the pendulum of a great clock, one that steadily counts off the planet’s years, and ours too. The poet Annie Finch is the author of “Winter Solstice Chant” (“the edge of winter sky/leaning over us in icy stars.”). During a phone call from her home in Portland, Me., she pointed out how neatly the solstice accounts for late December’s rich spiritual bottleneck of festivities and traditions in so much of the ancient and modern world. However we may celebrate the return of light to our skies and lives, she continued, we might also wish to pause to honor the darkness that will give way to it: “If you don’t experience the darkness fully then you are not going to appreciate the light.” A pause, of course, is just what we’ll be given on Thursday. When I heard this, I thought of how Thursday’s solstice is closing out a hard year — Ms. Finch would rightly rebuke me if I called it a dark year — for many. I was reminded, too, of my mother, who died just before the winter solstice of 2006. Unlike me, my mother found no comfort in darkness (she didn’t like flying much either). But she loved the winter solstice because she knew it marked the light’s rebirth. It was a win-win for us, you might say, and I’m glad it’s coming around again to a world that needs every shared wonder. This entry was posted in Seasons & Holidays. Bookmark the permalink.